Jeff Bohrer’s career has focused on supporting the mission of educational institutions through IT administration, support, and training. As technical program manager for digital credentials at IMS, Jeff supports a variety of projects and programs related to digital badges and comprehensive learner records, as well as guides the Innovation Leadership Groups for digital credentials and LTI learning tools. 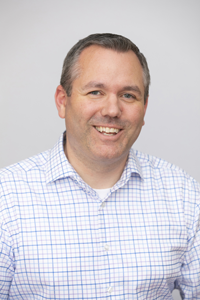 Prior to joining IMS, Jeff was an academic technology manager at the University of Wisconsin-Madison responsible for leading teams that support campus-wide systems for learning management, media delivery, collaboration, content development, assessment, and analytics. Jeff also served on numerous campus and statewide committees and collaborative work groups. Jeff previously held academic technology positions at Dartmouth College and Mahtomedi (MN) Public Schools. Jeff holds a master's degree in technology for learning and development and a bachelor's degree in secondary education, both from the University of South Dakota.